Today’s guest writer essay, written by Ryan Pierson explores the visual relationships between Georges Méliès‘ pioneer cinema in the beginning of the 20th century with its re-reading more than a century later by Martin Scorcese in his Hugo thanks to the new 3D technology. 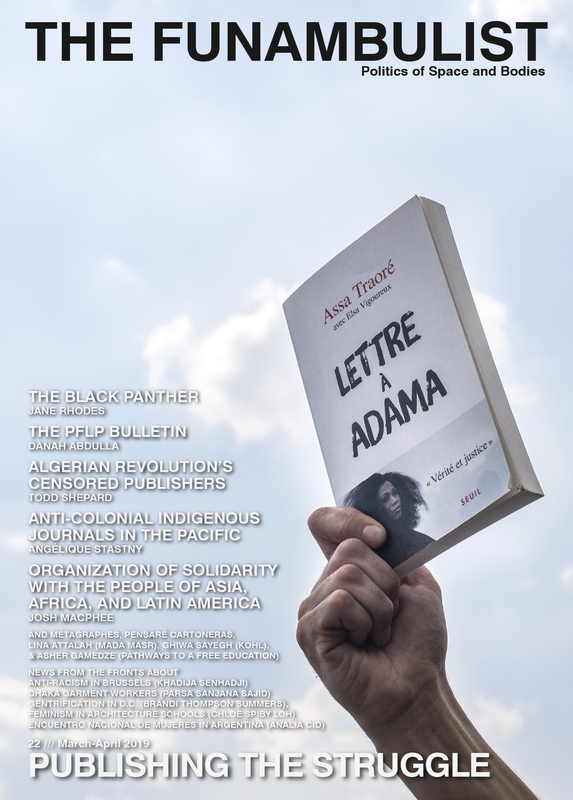 Cinema is indeed a not so young art anymore and encountered along the years, various technological inventions which expanded its means of production. Few months ago, I attended to a small Q&A with Wim Wenders after the visioning of his film Pina, during which he explained that he had to wait to discover the 3D technology to eventually dare to transcript Pina Bausch’s art in a film after thirty years of hesitation. Ryan compares this new tool, thanks to which the two-dimensional representation of space seems to unfold itself out of the screen, to the ‘train effect’ that scared so much the first spectators of Cinema history. Stereoscopic films share indeed something similar to the origins of cinema as they construct their pictoriality through the spatialization of two dimensional planes from foreground to background the same way than Méliès was physically building some of his settings which did not have much thickness either. Looking at a picture without focusing one’s eyes is difficult to do. Often we mall denizens didn’t know what we were doing when we did it. A great many frustrated people stared and stared and never saw anything. (The phenomenon soon became a running joke, leaving traces in Mallrats (Kevin Smith, 1995) and a Seinfeld episode.) Or, we would lose the image as soon as we had it. The figure would pop out for a moment; then I would try to focus on a detail in it; then, immediately, it would dissolve. Once I began focusing on the picture as if it were an object in space – that is, once I tried to unite the disparate impressions from each eye into a single thing – the depth was pulled underneath the thick layer of static again. Any time I blinked there was a danger of losing it, because the eyes wanted to be focused again, and I had to fight that urge. It hurt to concentrate on an unfocused picture. I could feel my eyeballs straining, like they were muscles being worked in the wrong way, like trying to pop a shoulder out of its socket. The nose tactic never worked for me. I found it was easier to hold the picture still and actively go cross-eyed, controlling my binocular vision: finding the repeated pattern of colors in the print, and playing a game with my eyes that forced the pattern from one eye to slide into the pattern from the other eye. I soon found that this game worked with any kind of flat pattern, like carpet or wallpaper, if I viewed it in the right way. No fish or boats would emerge, but the misfit of optical cues made for strange private sights. Tiles in public bathrooms worked especially well. Squares could hover over themselves and bounce above the floor in front of me, transparent and opaque at once. If different-colored tiles were the same size, they could merge into a single tile, both colors simultaneously. Avant-garde filmmaker Ken Jacobs has played with stereoscopic vision for decades in ways like this, sometimes projecting images side-by-side and asking his audience to resolve them into a single image. He has written stereoscopic poems as well. What seem like trivial games become important aesthetic matters, with so much present-tense investment in 3D viewing at the movie theater. 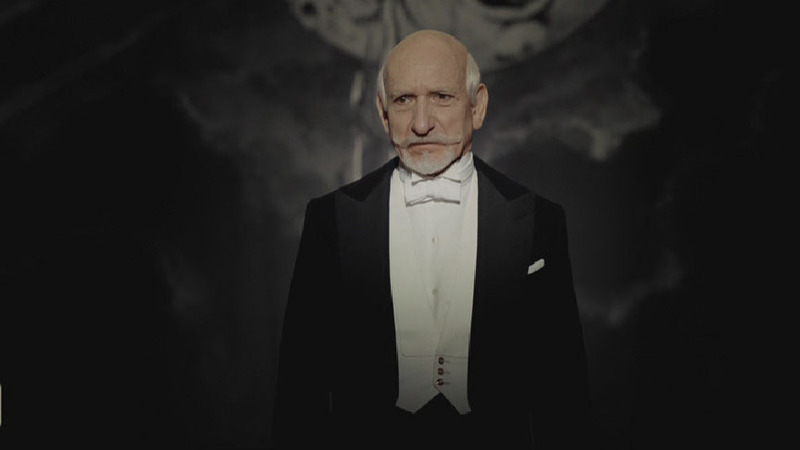 Hugo (Martin Scorsese, 2011) plays some games with the viewer of this nature – some on purpose, some by accident. But it’s the strange sense of depth in stereoscopic tricks that a film about Georges Méliès, made in 3D – and a film bold enough to put Méliès’s films through the stereoscopic process – that holds some interesting possibilities for 3D’s future. These possibilities, like the games, are difficult to see. Comparing present-tense technology with Méliès – as Hugo not-so-subtly does, by putting a story about Méliès in 3D loaded with digital effects – is always a loaded move. Critic Annette Michelson begins her seminal review of 2001: A Space Odyssey (written for Artforum in 1969) with a reflection on Georges Méliès’s place in film history. Michelson sees 2001 as a continuation of the illusionist project of cinema that began with Méliès, wherein whole artificial worlds are built up from scratch for us to behold. Kubrick’s use of technology and his relentless investigation of space, Michelson says, fulfill the original promise of cinema first written by Méliès. There is something valuable in this comparison, but in one special way it sounds off-key. In order to say that Kubrick is doing what Méliès was doing, Michelson has to distort some of what Méliès was doing. Michelson says that cinema’s primary value lies in its effect on the spectator’s sense of her own body. Film can evoke feelings of moving through space, something that other artforms cannot do. To support this idea, Michelson emphasizes the repeated disorienting shifts in perspective found in 2001, especially in the moving camera. She even claims that we start to truly understand movies when we see “[t]he trajectory of both narrative and of camera lens as the extension of the eye and will of the filmmaker” (59). 2001, she writes, “converts the theater into a vessel and its viewers into passengers” (63). Clearly Michelson is thinking of Méliès’s A Trip to the Moon (1902) here, as a privileged example of the kinds of worlds Méliès evoked in his films. But Méliès never moved his camera. At least, he never quite moved it in the ways Kubrick did. In one film where he moves his camera, The Man with the India-Rubber Head (1901), the technique looks nothing like a camera movement. The camera tracks in toward Méliès’s own face, to create the impression that his head is inflating, while the setting around him (shot separately over the same strip of film) stays absolutely still. We don’t feel like we’re going anywhere. It’s easier to call this a special effect. Early cinema’s most famous incident is, of course, the train effect: the oft-cited myth that an oncoming locomotive might burst through the borders of the frame and into the theater. Hugo dramatizes this moment as an epiphany for Méliès at the first Lumière screening: that the visceral sensation evoked by movement on film can be the kernel of a whole new artform. 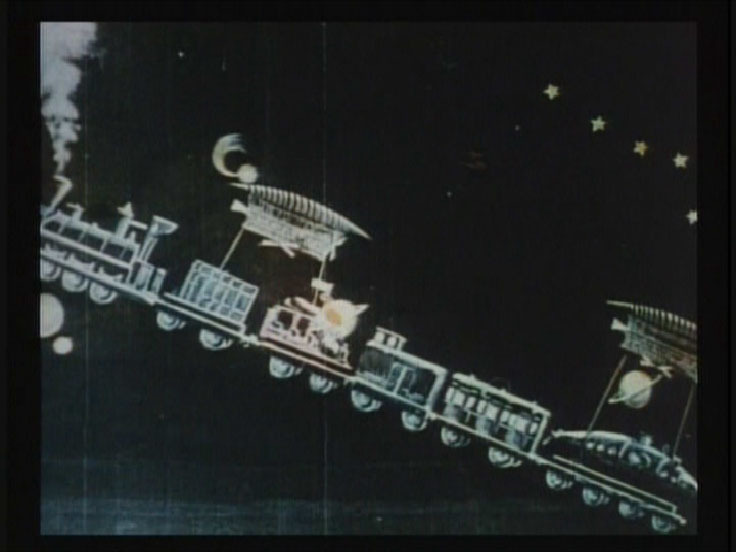 Scorsese suggests that the train effect has a rough equivalent in probably the most famous shot in any Méliès film: the point-of-view shot from the spacecraft in A Trip to the Moon. We hover ever-closer toward the Man in the Moon, the Moon looming ever-larger, until it/he is struck in the eye by the ship. Méliès moves his camera to get this effect, but it still isn’t quite Lumière enough to suggest the kind of mobility Michelson talks about. There is no horizon: only a ring of clouds as reference. There is no diagonal: the movement is straight forward, on a pure z-axis. Because the clouds remain constant, it doesn’t feel like we are moving towards the moon: it feels like the moon is coming for us. Digital imaging, the liturgy is often repeated, is, for better or worse, the future of film. It holds a promise of bringing together the best of Lumière with the best of Méliès: boundless expansive mobility through richly detailed spaces that are created from scratch. Movies are currently flooded with digital freefloating tracking shots that soar over landscapes, shoot through windows, and squeeze through keyholes. These spaces may be composites of several real settings, or they may be entirely imagined. Hugo wants the best of both of these worlds. The film is full of sweeping shots Méliès never would have thought to do (or had the means to do), in keeping with the standard look of big-budget movies today. 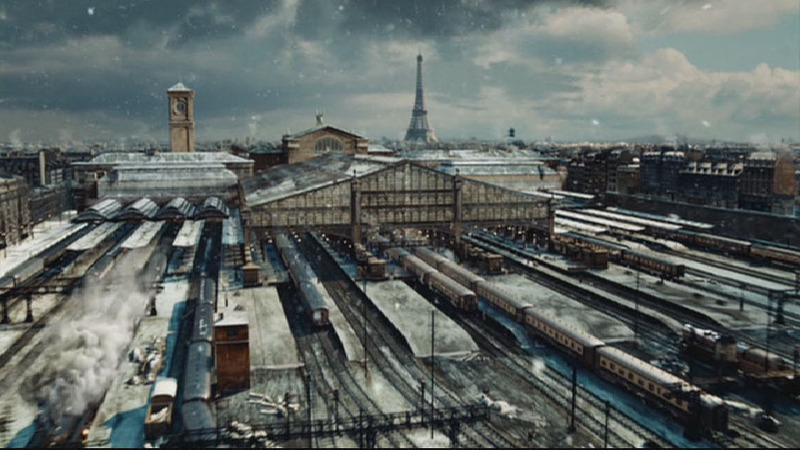 The film also contains the by-now-standard virtuoso tracking shot of its chosen setting, post-WWI Paris. The camera starts high in the sky from the far end of the city, flying all the way to the train station and onto the platform, through the foot traffic around the shop, and finally floating upward to little Hugo looking down from the big clock – all in the span of a single shot. Barely two minutes later we follow little Hugo running and sliding through all the station’s hidden passages. All supposedly made more vivid by being projected stereoscopically. What better way to make the movie theater into a vessel than to let features of the landscape swoop by you in steady succession? But a 3D tracking shot of this sort doesn’t fit that intended sense of movement through space, for two reasons. First: it’s the nature of 3D objects to exceed the boundary of the screen, and thus keep calling attention to that boundary. Objects appear larger as the camera gets closer to them: but because the camera is moving through space, it has to avoid these objects and fly through or past them, so the objects get pushed toward the edges of the frame. And as the objects get pushed to the edge of the frame, they get cropped. Cropping is not a problem with a 2D movie; it’s as natural as seeing a building cropped through a window. Cropping is a problem, however, when the 3D is trying to tell you that the objects don’t answer to the boundaries of the frame. Instead of the fluidity and freedom intended, we get a series of fits and starts. Objects rush up beyond the frame: they get close to me: then they suddenly disappear. They don’t go behind me (as they would if I were actually flying through space), they disappear. This is not like the sensation of being moved through space. It keeps reminding me that I’m sitting still in a movie theater. This problem is made particularly clear by a brief but bizarre shot later on in Hugo. Little Hugo is looking down towards the floor and the camera is looking up at him; he is shot in deep focus, so that his legs (close to us) and his face (far from us) look equally sharp. But the 3D process squeezes his whole figure onto the same optical plane. His face doesn’t look farther away than his legs. Instead he looks like a deranged body seen all at once from the same distance: a monstrous blob with giant legs and a tiny head, all out of proportion. By contrast: Scorsese also includes a sly imitation of Méliès’s Man-in-the-Moon shot, in a quiet long take, towards the beginning of the film. The Station Inspector is threatening little Hugo in an uncomfortable close-up, looking just off-camera (presumably at little Hugo). The background is a faraway blur. As the Inspector’s threat continues he inches his face, ever so slowly, toward the camera; he gets larger and larger; his face engulfs the frame. The 3D mimics this, placing his point of optical focus closer and closer to our own faces. The encroachment is barely noticeable but persistent, and it slyly gains momentum. I soon began rearing my head back in my seat at this shot; and the shot went on long enough that I noticed I was doing this, when my head couldn’t go back any farther. I, along with some other people in the theater, started laughing at this: and the longer the shot went on, the funnier it became. This joke played on the audience cleverly quotes the sense of humor present in Méliès’s own tricks. But I didn’t notice the shot’s overt similarity to the Man-in-the-Moon moment until near Hugo’s end, when Scorsese puts the original Méliès films through the stereoscopic process. There is a unique kind of potential violence in putting a well-known film through a technical process for which it was not intended. This is not like inserting contemporary actors into old footage (a la Forrest Gump (Robert Zemeckis, 1994)); nor is it like inserting footage from a well-known movie into a new movie; nor is it like re-appropriating well-known music originally written for a well-known movie (as Brian DePalma does with Bernard Hermann’s piercing Psycho (Alfred Hitchcock, 1959) violins in Carrie (1976)). It makes a historical gamble at the level of perception, like Ted Turner’s colorization process. Done badly, it reeks of betrayal. What is remarkable, and remarkably instructive about the gamble Scorsese takes in making Méliès stereoscopic, is how perfectly the films and the process go together. The Man-in-the-Moon shot becomes more vivid and lively in 3D, its looming intrusiveness made more palpable. There is no horizon to orient us, nothing moving at the edges of the frame to draw our attention. There is only the moon coming steadily towards us – and a flat moon at that, an actor’s face stuck through a moonlike texture, surrounded by flat clouds. 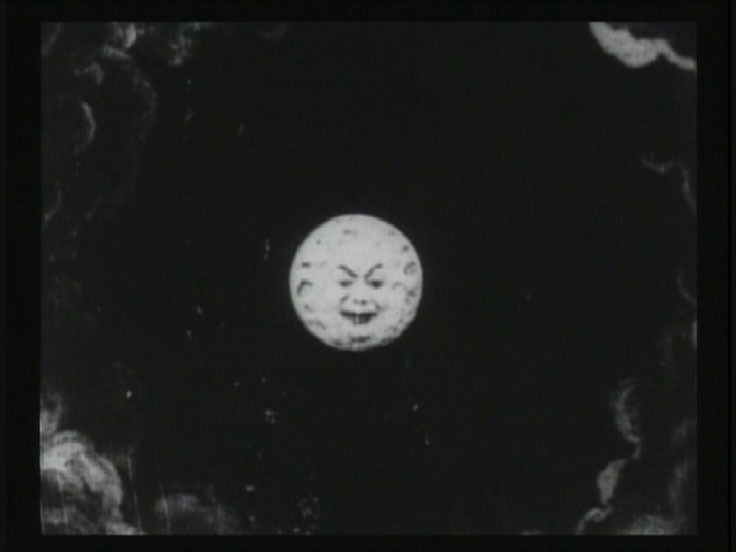 Méliès’s inventiveness is made clear, by Hugo’s climactic montage of clips, as relying on a self-consciously flat, shallow, and restricted sense of space. Characters move in straight lines from one side of the frame to the other, as if tethered to a clothesline. Depth is suggested, rather than inhabited, thrown onto scenes like a coat of paint (and often with literal coats of paint). 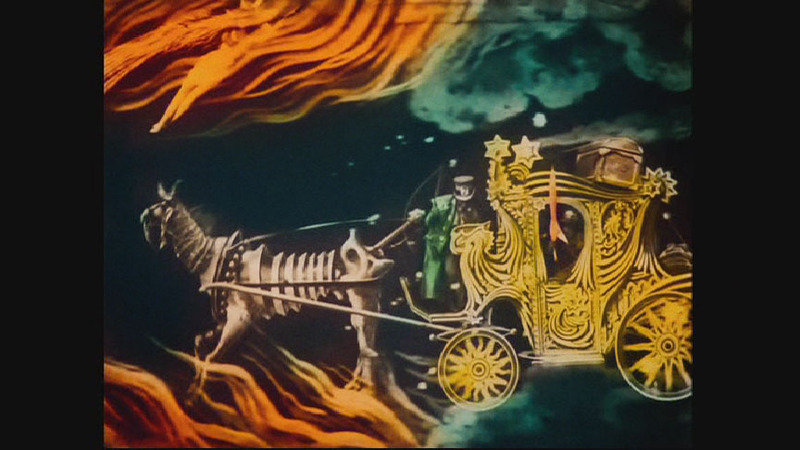 Méliès uses layers of occlusions, not continuous traversals: a prop dragon hiding behind a curtain, actors standing in front of a flat spaceship sitting in front of a painted backdrop to signify a laboratory. Even the 3D rendering of his hand-coloring enhances this sense, done in broad solid strokes of simple bold hues that separate planes of vision. 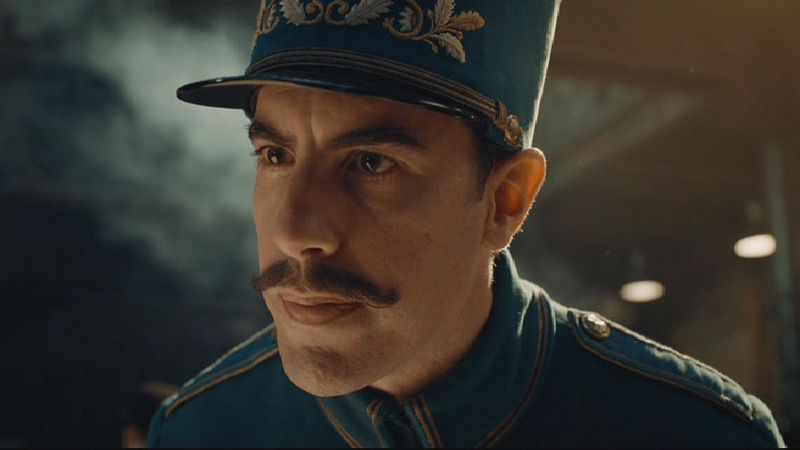 Hugo’s other 3D delights have little to do with creating a sense of depth. Extreme close-ups of objects in shallow focus, like the keyhole to the automaton little Hugo builds, beam outward as if from another planet. The dust that pervades the train station makes the air around the characters luminous, its specks so tiny that they are impossible to focus on. Scorsese applies something like this to a common cinematic tool: the gimmick of the dolly zoom, wherein an actor occupies the same space in a shot while the space around the actor seems to warp. It is supposed to make close-ups more dramatic and urgent, a Vertigo trick of tracking the camera in while zooming out (or vice versa). We can’t quite point to any visible change, but we can feel our sight-lines being altered. When Méliès makes a speech at his retrospective screening (noting, of course, that none of this would have happened without little Hugo), he stands still while the camera moves toward him. But instead of the background getting larger (as it should when we get closer) it moves farther away. The 3D matches this, essentially thrusting Méliès’s figure forward in our focus faster than it should. As the shot went on, I could feel my eyes having to work harder to keep him in focus. After a time I got fatigued trying to keep him in focus, as if my musculature had suddenly found it a troublesome task just to sit still. The sense is disconnecting and brutely physical at the same time. There is a painting at the Carnegie Museum of Art by Polish artist Wojciech Fangor, M5-1969. I sometimes go to the Museum to look at it, on weekday afternoons when no one else is around. I know its location by heart: in the midcentury modernism room, on a wall directly opposite Frank Stella’s Crossing the Delaware. I’ve looked at the Fangor painting from every angle I’ve found in the room. It does especially fascinating things when I hold my gaze on it while walking closer to it, or farther away. The painting depicts an eyelike globe floating in a void, or maybe a set of globes placed in succession. It consists solely of three concentric circles. A hot white center fades into a deep blue ring: the blue fades into a bright red orbit: the red fades into a violet background. Each color-fade is absolutely uniform, with no hard edges. Partly because that fuzziness creates the gnawing sense that the painting is constantly out-of-focus, and partly because of Fangor’s selection of colors that sit next to each other, the canvas is blinding. It hurts to look at, in the way that a solar eclipse hurts to look at. The colors appear to glide in a wash above the surface, repelling their own placement on the canvas like magnets. Their contours swell or shrink if I move toward it or away from the painting. They burn my eyes but call me to keep looking at them, closely, as an inscrutable expression on a celestial face. The painting has no depth, yet it contains within it the sense of something inhuman coming up to meet me. I have to struggle to make myself adequate to this painting, to this simple set of colored circles on a wall. I have to move around it and play with it, almost dance with it. When I look at it, I feel it is teaching me something in a language I can’t speak. Stereoscopic film can do something like this. Often, it does not. Crary, Jonathan. Techniques of the Observer. Cambridge: MIT Press, 1990. Ebert, Roger. “Why 3D doesn’t work and never will. Case closed.” Roger Ebert’s Journal, January 23, 2011. http://blogs.suntimes.com/ebert/2011/01/post_4.html. Jacobs, Ken. “Three 3D Poems: Lulu in Hollywood, Routine, The Story of a Devoted Couple.” World Picture 5 (Spring 2011). http://www.worldpicturejournal.com/WP_5/Jacobs_Poems.html. Kracauer, Siegfried. Theory of Film: The Redemption of Physical Reality. Princeton, NJ: Princeton University Press, 1997. Michelson, Annette. “Bodies in Space: Film as ‘Carnal Knowledge.’” Artforum 7.6 (February 1969), 54-63.